With all of the excitement and craziness about the launch of my new Jennika Mystery CAL/KAL, I can’t tell you how excited I am to feature a great guest designer, Esther, of Cute As A Button Crochet and Craft, on the blog this week. This is a designer after my own heart….she submitted a cute design idea, I approved it, and she then came back with everything I needed 2 weeks before her deadline! I’m impressed. Since I’m an obsessive list maker, I tend to love the whole idea of organization. Sometimes I’m great at it (I’m starting to think of myself as an event planner as well as a designer, when it comes to my MCALs! ), and other times….well, you’d need only one peek at my office to know I’m not perfect! It’s always refreshing to work with someone so put together though! 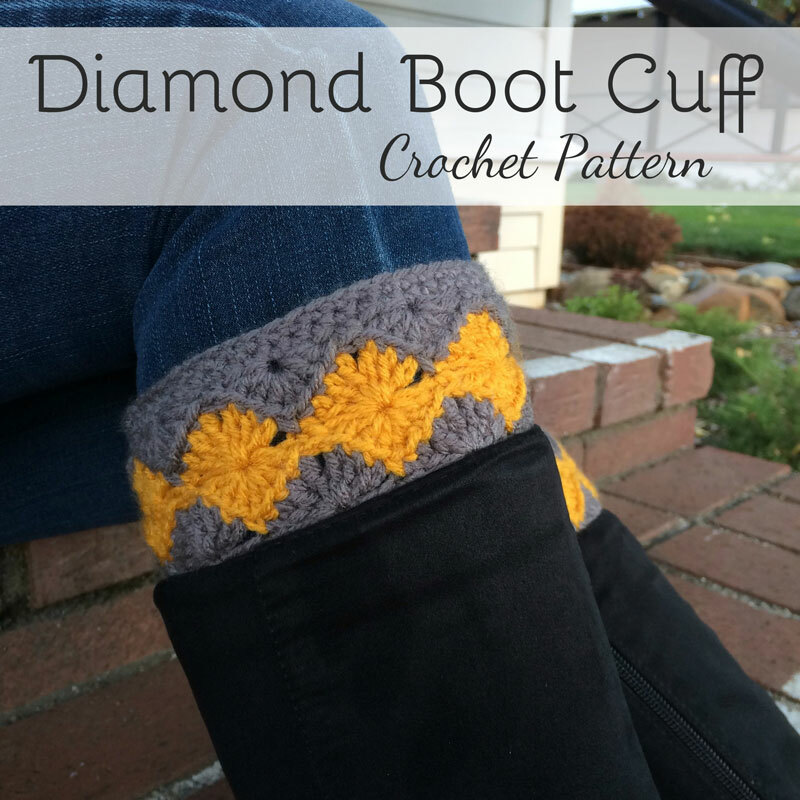 This super cute free crochet pattern for boot cuffs features a beautiful diamond design and is SO perfect for the upcoming fall and winter season! 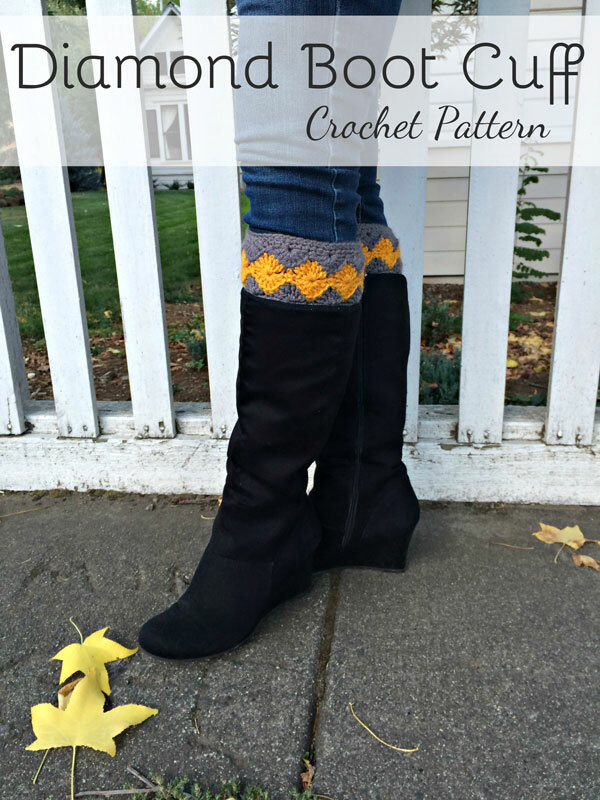 Thank you to Esther of Cute As A Button Crochet and Craft for contributing this adorable free crochet boot cuff pattern as part of my Guest Contributor Program! 1. 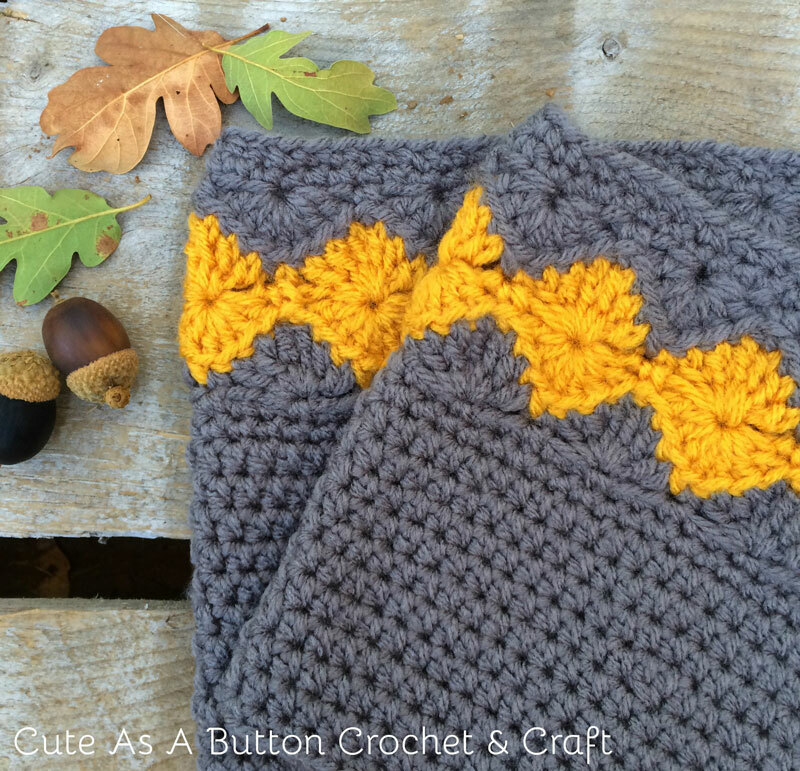 Sign up for email updates from Cute As A Button Crochet and Crafts! Click here and fill out the form at the top of her website. A few years ago Esther discovered the wide world of crochet YouTube tutorials… and she can’t get enough of crochet ever since! 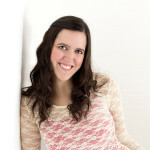 Esther created Cute As A Button Crochet & Craft as an outlet for her love of all things yarn! She loves participating in local craft shows, and has also started designing patterns, which you can find at www.caabcrochet.com. She lives in a tiny mountain town in Northern California with her husband and 3 sons. 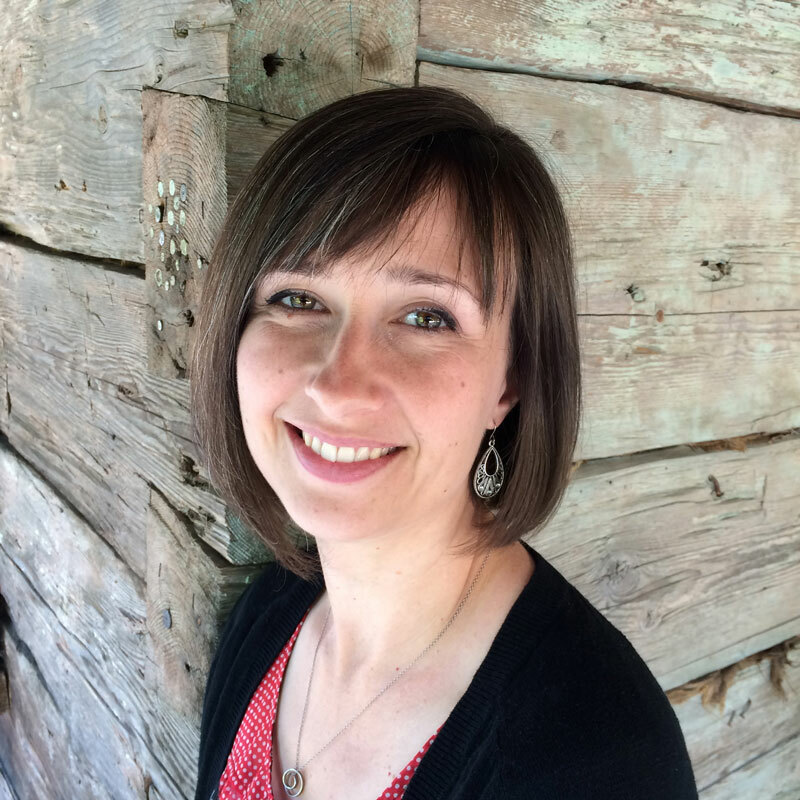 Besides her love of crochet, Esther also enjoys gardening, chocolate, friends & coffee and is passionate about raising kids with special needs. How about that Juanita! They are pretty. Have done all,that was asked of me! Thanks for the pattern! Thank you for the free pattern! Just in time for “boot weather” I’ll be making several of these. Thank you, great Christmas gift. I have tried multiple times today to download this pattern but I keep getting a message that says “File damaged and could not be repaired. I really want to make several of these for Christmas gifts. Please advise. Thank you. Oh no! I’ve just tried removing and re-adding the link in hopes that works. Could you please try it again? If you continue to have trouble, you might also consider trying another browser. Melody I am so sorry I put you to all the trouble. I tried downloading it again and got the same message. Unfortunately I can only get dial-up internet service so I thought that may have been the problem. I tried downloading it on my phone and it worked great. I then emailed it to myself and downloaded it onto my computer so I could print it out. Can’t wait to get a wireless printer, then I can cut out part of the process, lol. Thanks for the help and the pattern.